The Tears of Re: Beekeeping in Ancient Egypt est le grand livre que vous voulez. Ce beau livre est créé par Gene Kritsky. En fait, le livre a 160 pages. 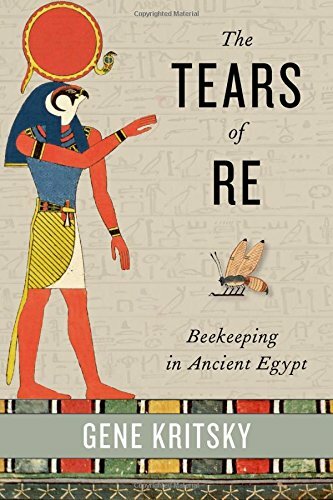 The The Tears of Re: Beekeeping in Ancient Egypt est libéré par la fabrication de Oxford University Press. Vous pouvez consulter en ligne avec The Tears of Re: Beekeeping in Ancient Egypt étape facile. Toutefois, si vous désirez garder pour ordinateur portable, vous pouvez The Tears of Re: Beekeeping in Ancient Egypt sauver maintenant. According to Egyptian mythology, when the ancient Egyptian sun god Re cried, his tears turned into honey bees upon touching the ground. For this reason, the honey bee was sacrosanct in ancient Egyptian culture. From the art depicting bees on temple walls to the usage of beeswax as a healing ointment, the honey bee was a pervasive cultural motif in ancient Egypt because of its connection to the sun god Re. Gene Kritsky delivers a concise introduction of the relationship between the honey bee and ancient Egyptian culture, through the lenses of linguistics, archeology, religion, health, and economics. Kritsky delves into ancient Egypt's multifaceted society, and traces the importance of the honey bee in everything from death rituals to trade. In doing so, Kritsky brings new evidence to light of how advanced and fascinating the ancient Egyptians were. This richly illustrated work appeals to a broad range of interests. For archeology lovers, Kritsky delves into the archeological evidence of Egyptian beekeeping and discusses newly discovered tombs, as well as evidence of manmade hives. Linguists will be fascinated by Kritsky's discussion of the first documented written evidence of the honeybee hieroglyph. And anyone interested in ancient Egypt or ancient cultures in general will be intrigued by Kritsky's treatment of the first documented beekeepers. This book provides a unique social commentary of a community so far removed from modern humans chronologically speaking, and yet so fascinating because of the stunning advances their society made. Beekeeping is the latest evidence of how ahead of their times the Egyptians were, and the ensuing narrative is as captivating as every other aspect of ancient Egyptian culture.